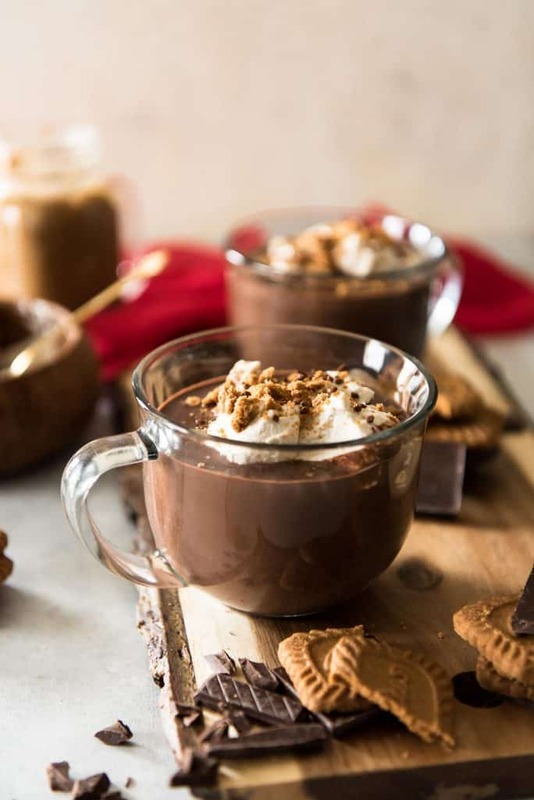 Watch out, sweets lovers – you’re about to fall in love with the thickest, richest Cookie Butter Hot Chocolate on the planet! It’s perfect for cookie dippin’ and just plain sippin’, too. In the world of hot winter drinks, I will usually lean toward the coffee. UNLESS. Unless there’s chocolat chaud to be had (that’s French hot cocoa, friends.) Because there is little to nothing better in life than a dark chocolate bar melted in a mug and called a beverage. And when you throw some of Belgium’s finest store-bought cookies into the mix, I’m so done. 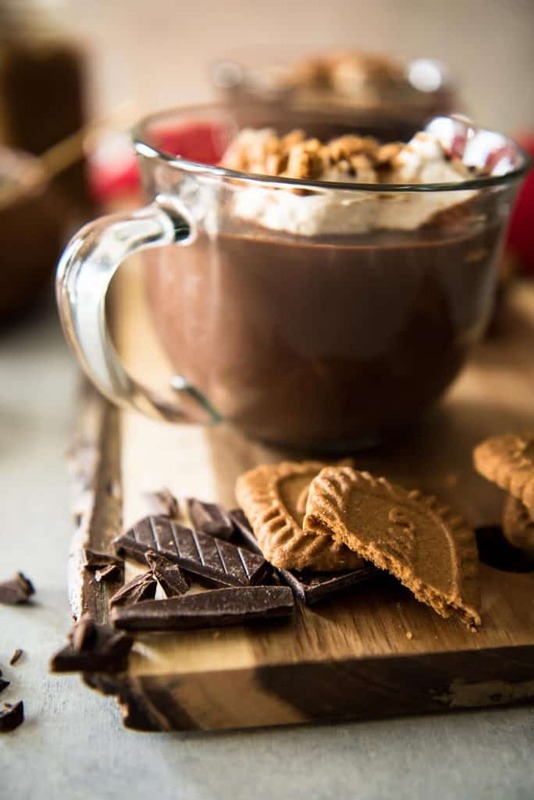 JUST TAKE ME TO THE COOKIE BUTTER HOT CHOCOLATE ALREADY! 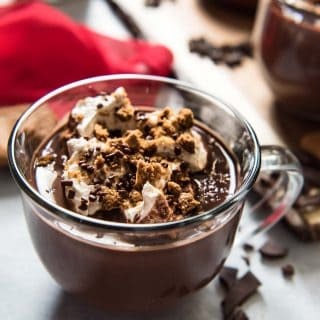 If you’d rather skip my (pretty darn helpful) tips and tricks, essential cooking info, and similar recipe ideas – and get straight to this deliciously easy hot cocoa recipe, just scroll right on down to the bottom of the page where you can find the printable recipe card! This may be the messiest, richest, most satisfying mug of cocoa ever. I’ve had an obsession with cookie butter since my first ever fateful trip to Trader Joe’s back in my baby blogging days (aka summer of ’14.) Having always been a fan of nut butter, I spooned it into my mouth upon purchase with no hesitation. And then later, with no abandon. It’s essentially ground up gingerbread cookies in coconut oil. What could be bad about that? In lieu of driving an hour to get a jar (Sorry TJ’s,) I actually made my own cookie butter for this Cookie Butter Hot Chocolate recipe out of half a package of Biscoff. 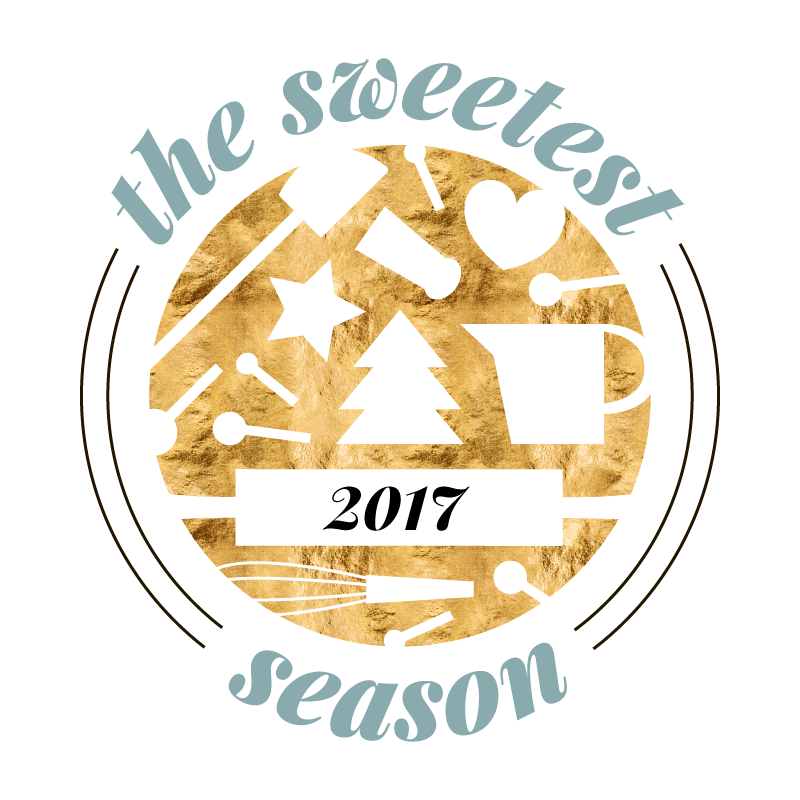 And this week seemed like the perfect time to share it – since a bunch of blogger friends and myself are celebrating The Sweetest Season 2017! And you get to come along for the ride! 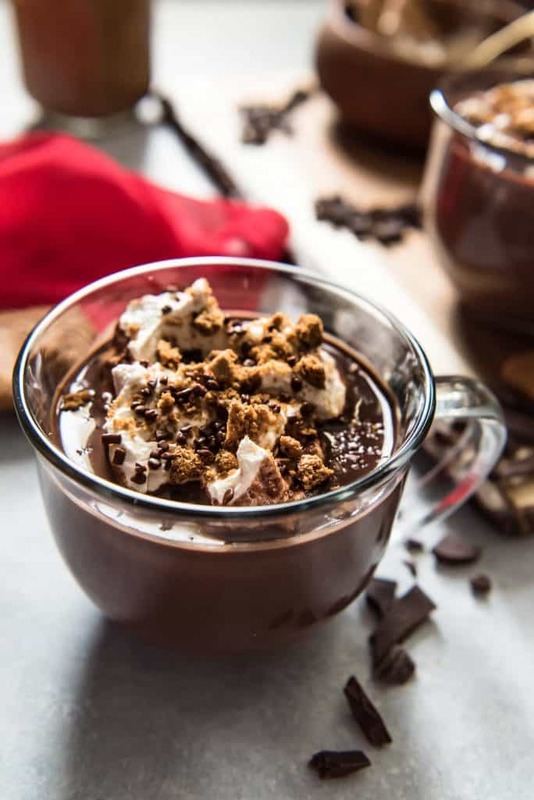 BUT since this recipe involves cookies, I thought a soft opening with some ridiculously decadent hot cocoa recipe might be fun! …And also hopefully might be a good way to soften you up to ask you to make a donation to our friends at Cookies for Kids’ Cancer this holiday season. We’re raising money throughout the entire month of December, so hopefully, by the time we’ve drowned you in cookie goodness, you’ll be ready to help out our little buddies! 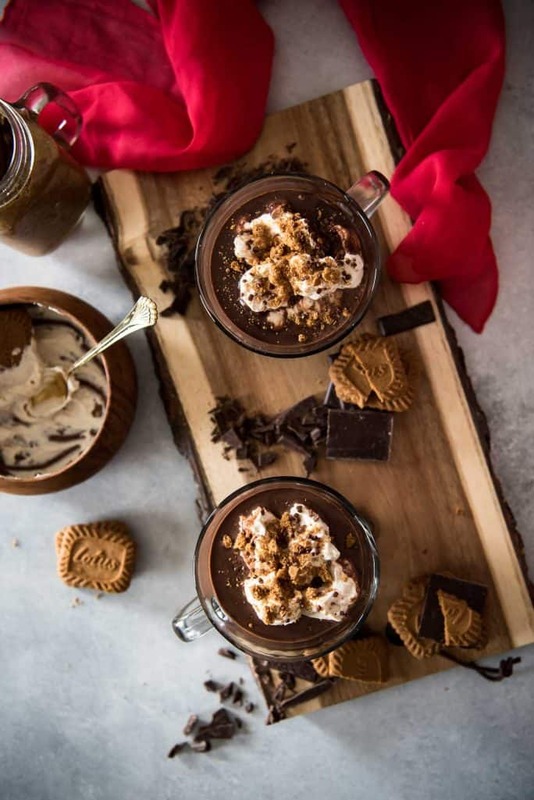 Watch out, sweets lovers - you're about to fall in love with the thickest, richest Cookie Butter Hot Chocolate on the planet! It's perfect for cookie dippin' and just plain sippin', too. In a small saucepan set over medium heat, combine milk, cream, and powdered sugar. Whisk and bring to a low simmer. 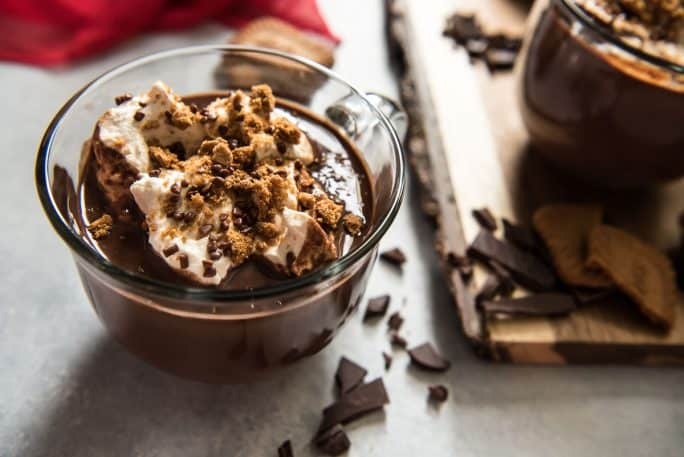 Reduce the heat to medium-low and stir in chopped chocolate, cookie butter, and salt. Whisk until the chocolate melts and the mixture becomes smooth; then allow to steam and reduce on the stove for about 10 minutes, whisking frequently. Place the whipping cream and cookie butter in a medium bowl and whip until it thickens and forms stiff peaks. Add more cookie butter if desired. 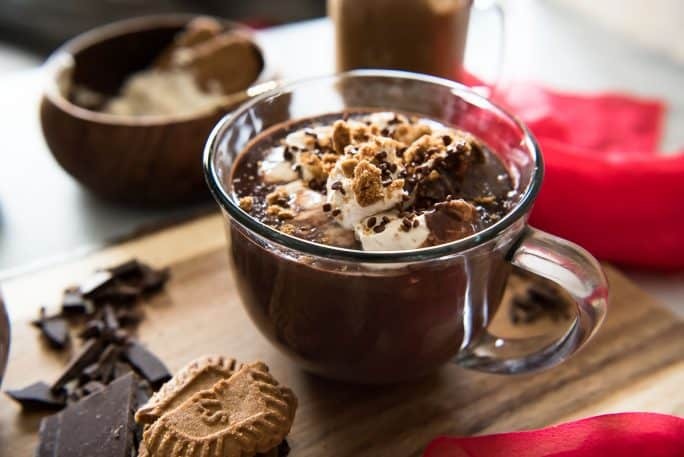 Serve hot chocolate in mugs, top with whipped cream, then garnish with crumbled cookies & chocolate of choice. 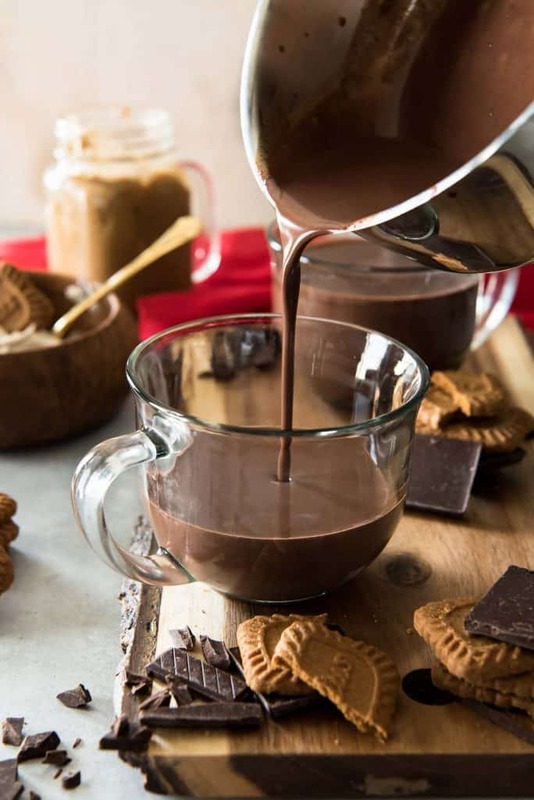 Need a cookie or two to dip in this Cookie Butter Hot Chocolate? 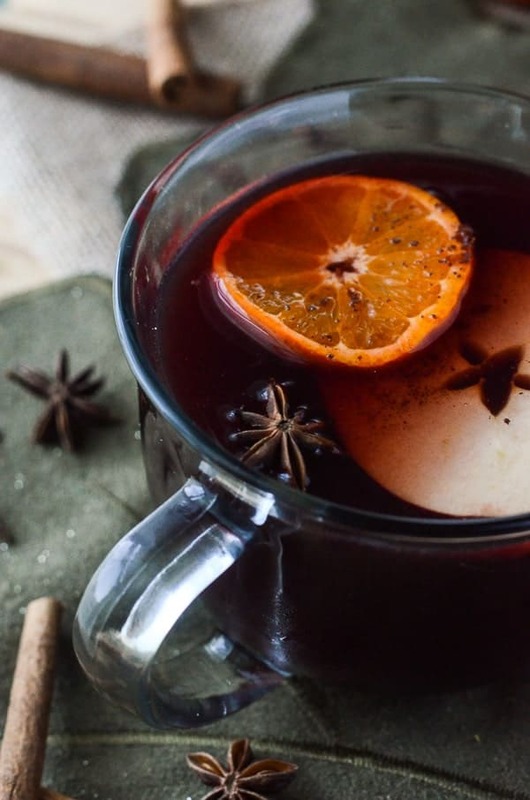 Be sure to try all of my tasty warm winter drinks this season! 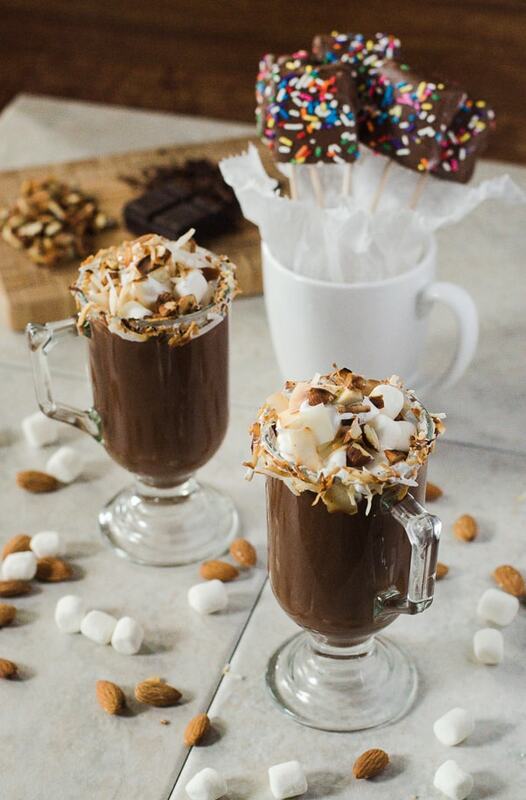 Omg, this hot chocolate is everything I need to try. Thanks for posting such a detailed and yummy chocolate recipe!